PUMPKIN IS BACK Pumpkin Facials!!! 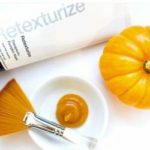 Book your pumpkin peel, pumpkin facial for the best in antioxidants and skincare health! This entry was posted in Reviews and Compliments and tagged Pumpkin, pumpkin facial, Pumpkin Peel, Pumpkins, Stoneham.